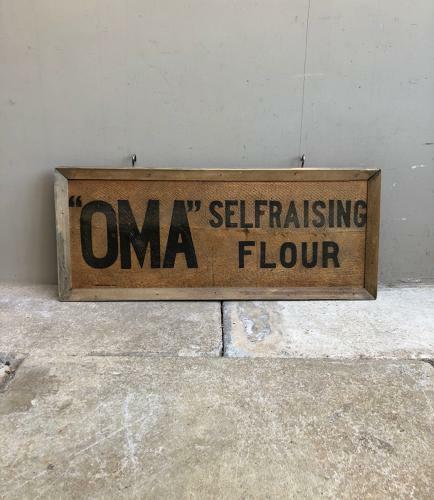 This is an antique (dating to 1920/30) OMA SELF RAISING FLOUR box side or lid in wonderful condition which has been recently framed. The frame matches in well and this looks lovely on a kitchen or restaurant wall. I would personally add a couple of hooks to the back to wall hang with string.